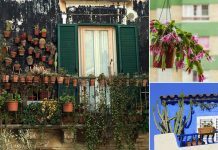 More than aloe vera, learn about 23 Best Aloe Varieties to Grow in Containers that are low maintenance, drought tolerant, and BEAUTIFUL! From over 500 species from aloe genus, we’ve selected 23 aloe varieties that you can grow in containers, indoors or outdoors. 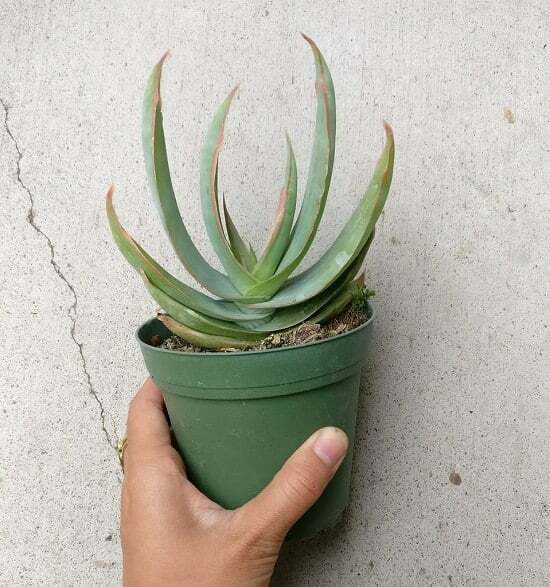 Sunset aloe is an evergreen succulent variety that turns light green when grown in partial shade but terrific glossy red in full sun. The leaves develop white spikes along its edges. Greenish yellow flowers are generally seen in winter and spring. 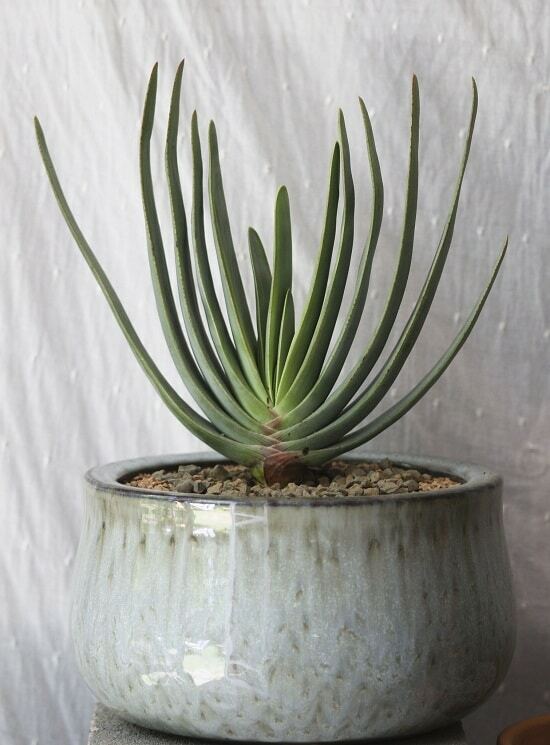 Aloe polyphylla is a unique aloe variety that forms a rosette of bluish green leaves. As the plant ages, it forms an alluring spiral pattern in either clockwise or anticlockwise direction. Also, it flowers sporadically, but once it does, it’s a sight to withhold. 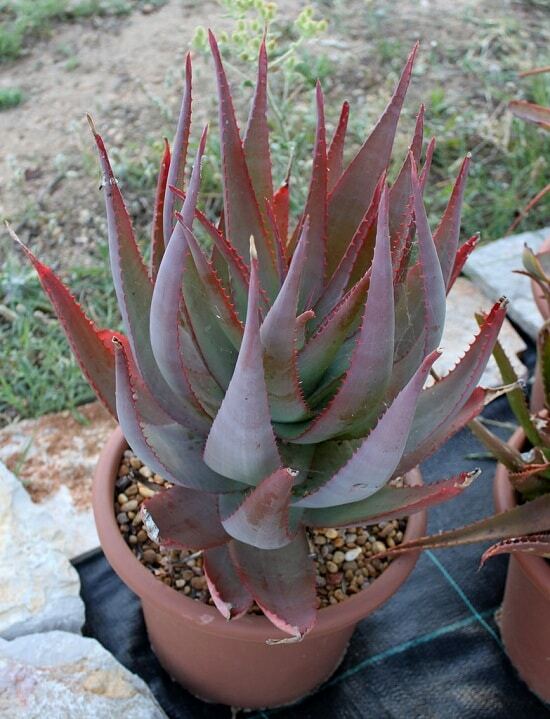 Guido aloe is an exquisite hybrid aloe variety with attractive green and white colored rosette-shaped patchy foliage. 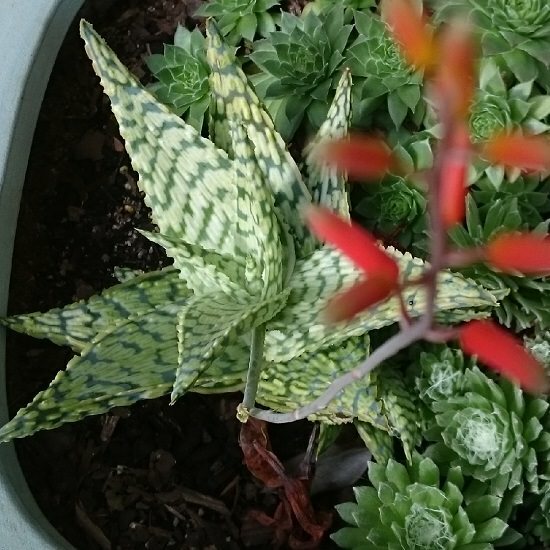 This mini aloe can live well in small decorative containers. This miniature hybrid variety can be an excellent addition to your indoor or outdoor garden. The leaves are striking dark orange at edges with toothed margins and go well with containers of contrasting colors. 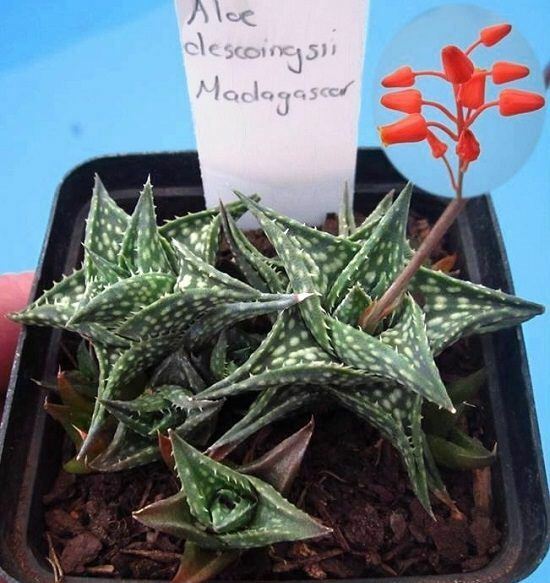 Another impressive miniature aloe that forms the rosette of deep green foliage with a lot of teeth and speckled skin. If kept in sunlight, the leaves turn into the alluring reddish orange. The distinct characteristic of this plant is that the leaves have raised white dots, which are somewhat spiny near the base. It becomes a beautiful houseplant and requires no care if kept in a warm spot that receives some sunlight. 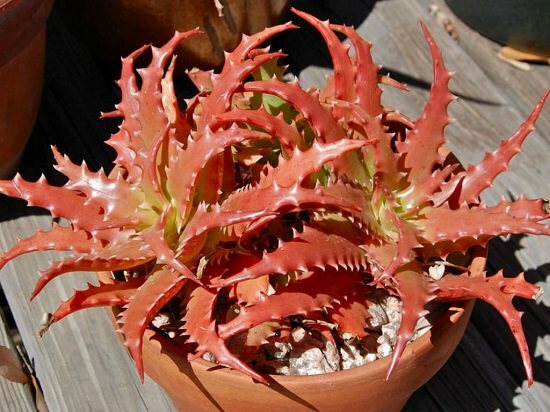 This rosette-forming succulent has short gray-green fleshy leaves in part sun, which turns into reddish pink in full sun. 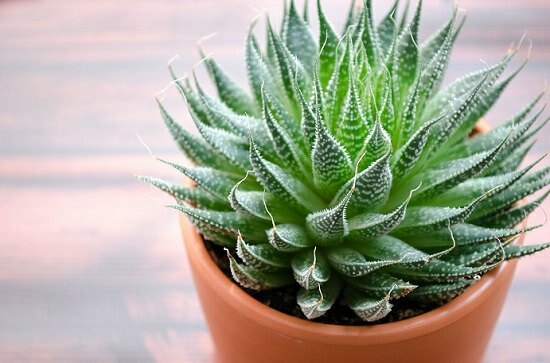 Grow it in a small decorative container alone or in combination with other succulents. 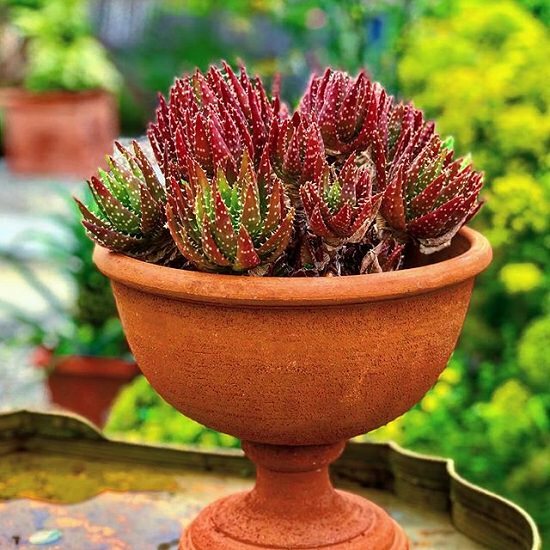 This slow-growing aloe variety has low watering needs, and if you’ve got a spot where it can receive full sunlight, it’ll reward you with beautiful copper red foliage, the most attractive in all the aloe species. One of the tallest aloe species. This shade tolerant shrub-like succulent also bears attractive flowers in the vibrant shade of red and orange. *Not only that, some studies suggest that aloe arborescens is effective against cancer alongside chemotherapy. Check it out here! Cape aloe, bitter aloe, and tap aloe are some of the common names this aloe goes with. This is another giant aloe variety that presents a great architectural show when grown outside in a frost-free climate. Majestic! More than that, bitter aloe has great medicinal uses. Here is the research published on the physical and chemical characteristics of Aloe ferox. 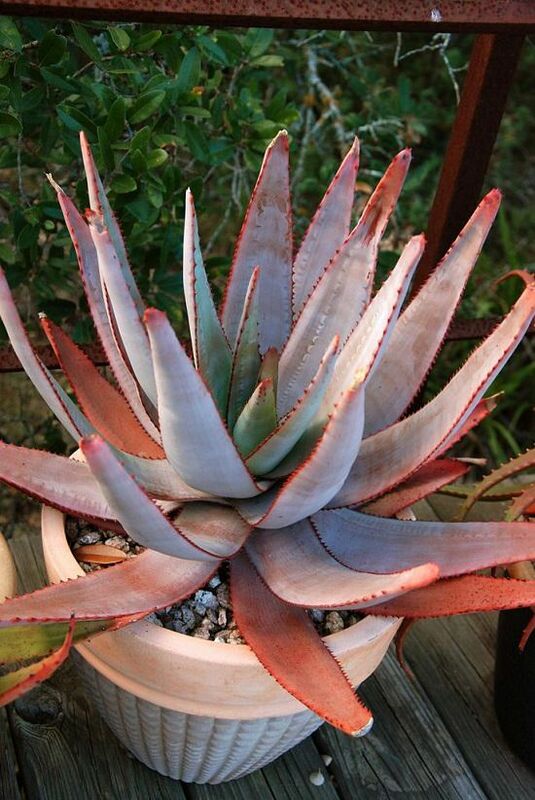 The pink shade on its appealing big broad leaves is the reason why this plant is known as “Coral Aloe.” Unlike other common aloe varieties, coral aloe is toothless and contains no spikes on leaf edges. 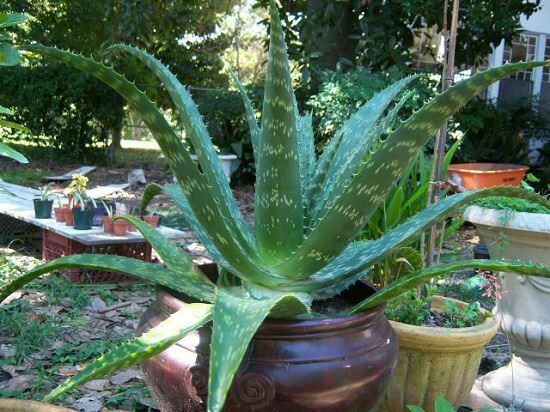 It’s one of the best cold hardy aloes that grows well in a shaded and sunny location both. However, the true rosy pink color appears in full sun. Tiger tooth aloe is one of the most beautiful aloe varieties for containers. It’s a small clump-forming succulent that is native to Kenya, which means it prefers hot growing conditions. 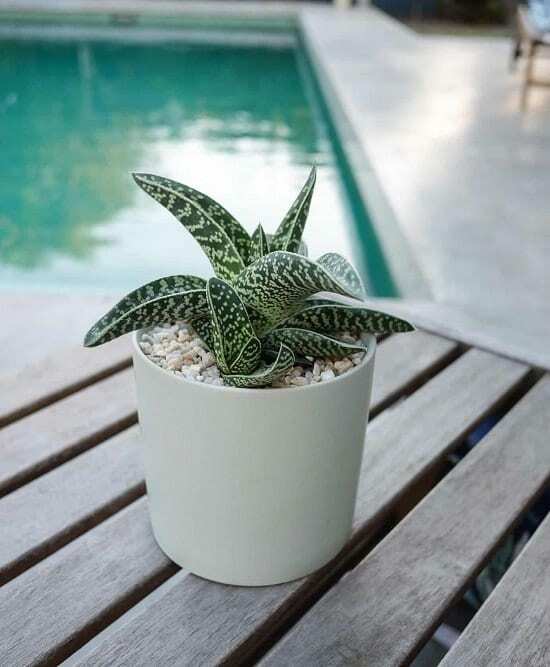 Grow it as a houseplant or outside in containers in a warm spot that receives some sun. 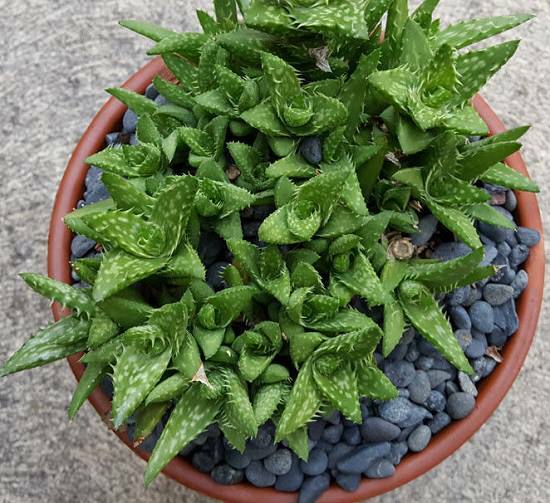 Also known as hedgehog aloe, this low growing variety has beautiful clusters of stemless rosettes growing closely, the leaves are small and covered with irregular tiny white spines. This lightly frost tolerant succulent also bears flowers in the shades of red, orange, and bright yellow. 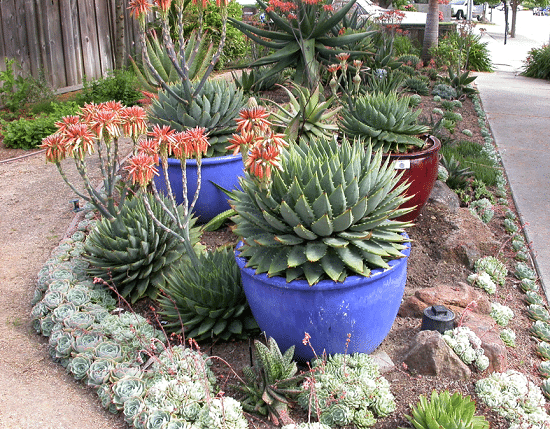 One of the most beautiful aloe varieties to grow in containers. 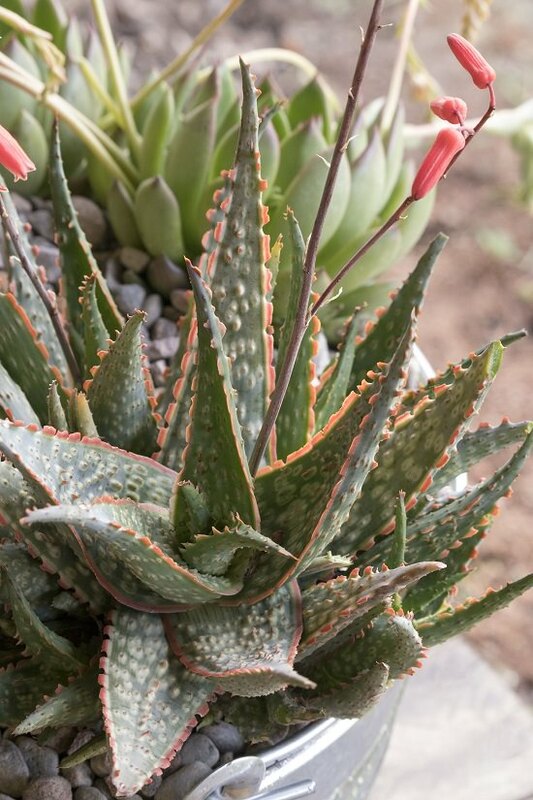 Tiger aloe has distinctly small sword shape fat foliage adorned with amazingly white strips marked on green leaves. 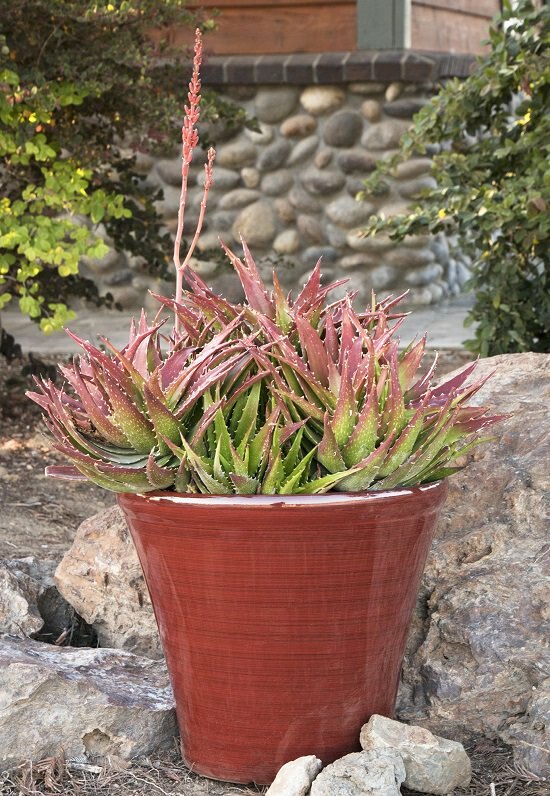 This stemless rosette forming aloe variety has a union of showy fat leaves splashed with a vibrant bluish pink shade, which turns into the deep pink or light red in full sun. It has red margined edges that are adorned with sharp but small teeth. 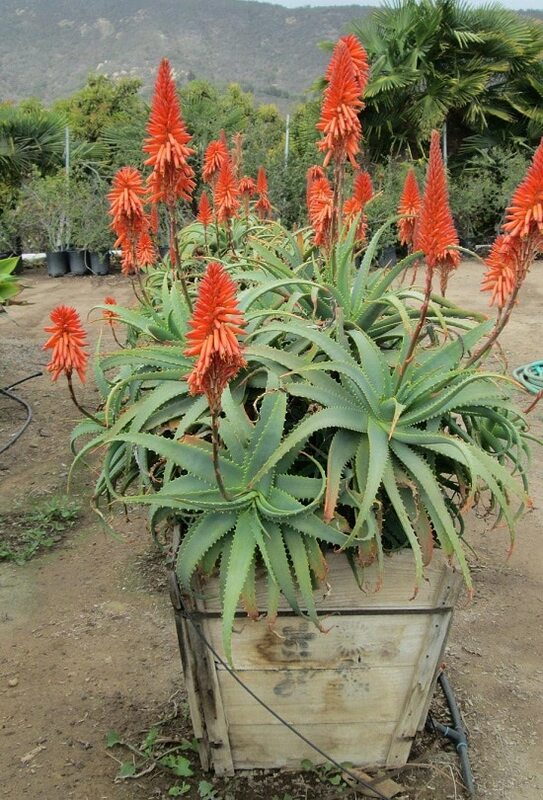 The biggest asset of this aloe species is its bell-shaped flowers of orange shade. This aloe variety needs no introduction. 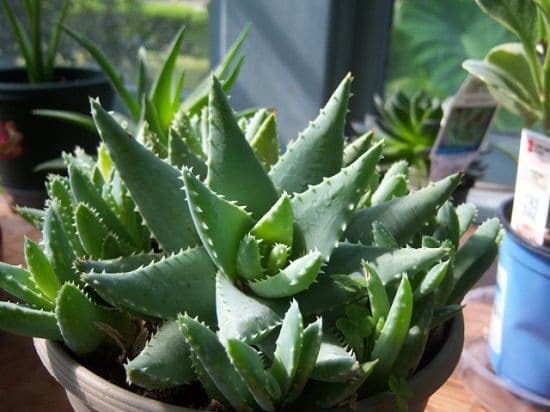 It is available with so many names like aloe vera, true aloe, Indian aloe, Chinese aloe, and first aid plant. Not only it’s an ornamental plant, but it’s also one of the most valuable medicinal plants in the world. 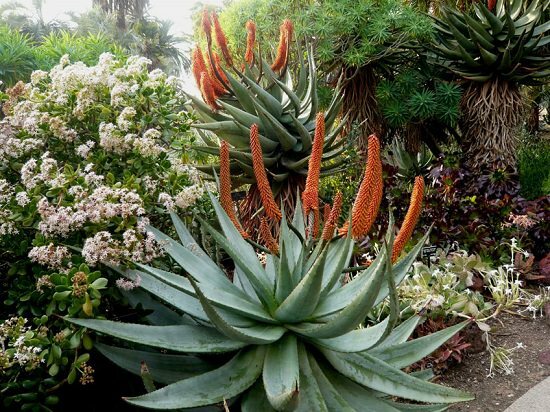 If you’re looking for a decorative statement plant for your garden or entryway, grow fan aloe. 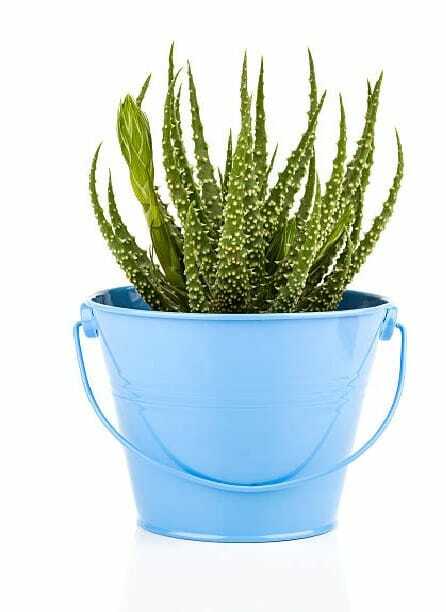 Growing fan aloe in a pot is not difficult, keep it in a large pot in a warm location that receives some sun. 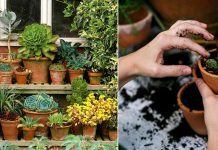 If you’re living in a cool region, shift the plant indoors for winter protection. Aloe descoingsii is the smallest of all aloe species. The tiny rosettes of it only grow to about 2-3 inches long. The dark green leaves have magical white spots on them along with serrated white edges, coming out from the center as if they’re entwined together. Yellow to orange colored flowers appears on 6 inches tall racemes during spring to summer, making it more beautiful. Grow this evergreen succulent perennial for the year-round show of foliage and flowers. 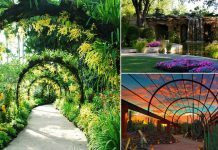 It’s deep bluish-green foliage perks up perfectly in a part shade spot outdoors or indoors. 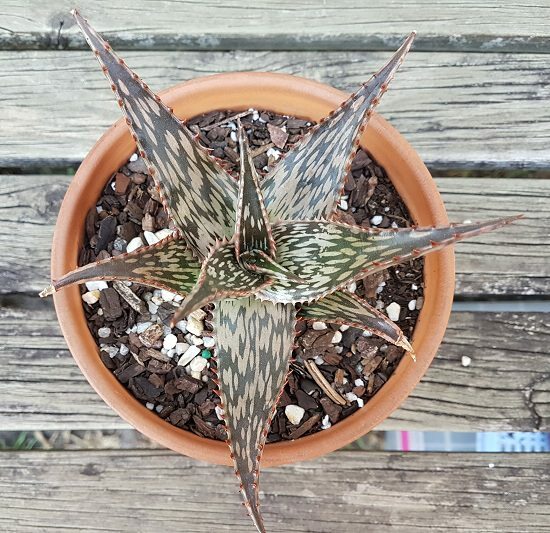 Somalian aloe is a beautiful ornamental aloe variety decorated with green and white textured foliage. It bears pink to red tubular flowers in summer. 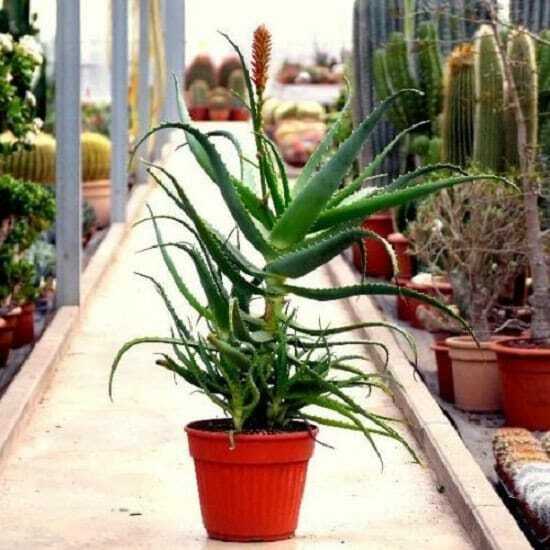 It is a cross between Aloe ferox and Aloe arborescens and has kept somewhat improved characteristics of both varieties. It grows high but not as heavy as aloe ferox and also shows much orderly growth than Aloe arborescens. It’s a rare climbing variety of aloe. The woody stems and greatly recurved leaves help this plant to climb on nearby trees or any structural support. If there is no support in the vicinity, it shows a straggly growth. It also produces unique tubular shaped flowers when exposed to direct sun, in the charming shade of red with creamy yellow tips. I love growing varieties of Aloe in my garden and even inside my home as well. Ever since I had them inside the house, our air has been less stuffy. 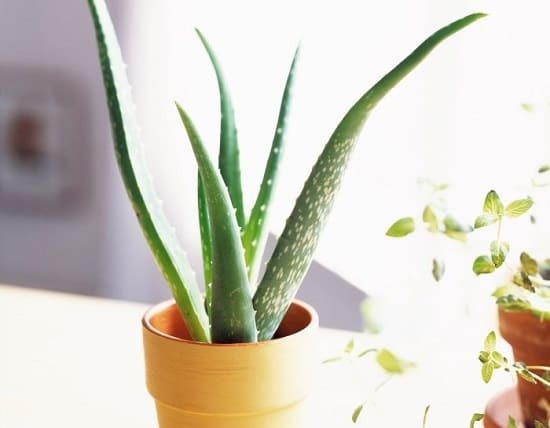 Aloe really does purify stal indoor air. Thanks so much for sharing!